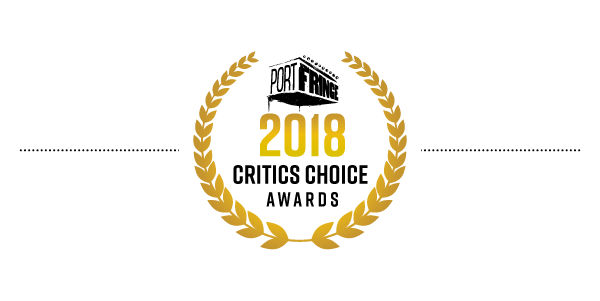 The following awards were given by the PortFringe audience review team, made up of 10 independent community journalists engaged to see and review the 2018 festival performances. *Patron’s Choice Awards based on highest attended productions per venue. *Peer Choice Awards based on productions with highest number of fellow PortFringe Artists in the audience. *Volunteer Choice Awards based on productions with highest number of PortFringe Volunteers in the audience.